Track and mask even faster. 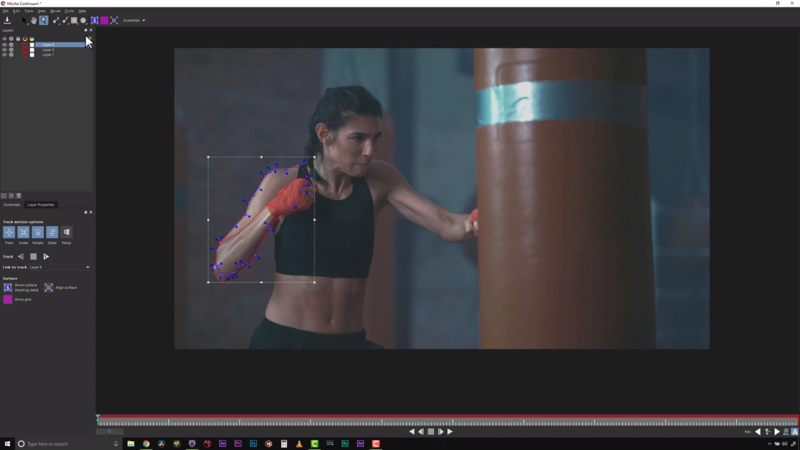 Continuum 2019 introduces a new tracking and masking workflow with the addition of the Mocha Essentials workspace that narrows Mocha’s tools and icons down to only the most essential. 4 new spline tools have been added to make masking a breeze with a new magnetic spline tool with edge-snapping, a freehand tool, and new geometric shapes like ellipse and rectangle.